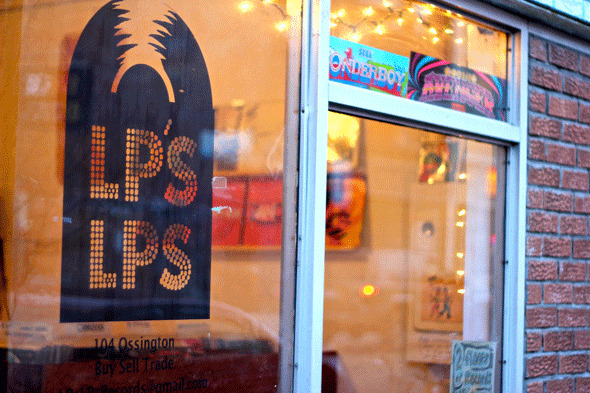 LP's LPs has a note hanging on the door when I first stop by. "Be back at 5:30. Go grab a coffee. I had to run an errand. I'll see you shortly," it says. I always appreciate places that do this; it shows they're laidback. And when I come back at 5:30, Lorenz Peter, the owner and sole employee is hanging out (and is, indeed, laidback), spinning Abbey Road . From the outside, Ossington 's newest record store (get it? Lorenz Peter's LPs--clever, no?) appears to be a tiny storefront. When you get inside, that same feeling is carried through in record bins jammed with genres ranging from disco, to pop, to "Kraut Rock." 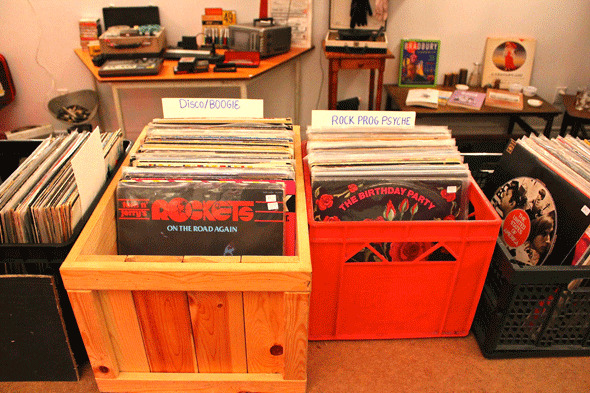 That is, until you head down to the basement, where there's a treasure trove of vinyl: from hard-to-find minimalist albums, to staples like Blondie and Genesis , to Goth, to German electronic outfits like Bizarre Unit . It's eclectic enough for the DJ's that are looking for something new to spin, yet holds onto the mainstream classics for the everyday listener--and it's affordable. Unless marked, the great majority of the albums are $5 or 3 for $12, which is a great price point for discovering new material. "I had more records than I needed at home," says Peter. 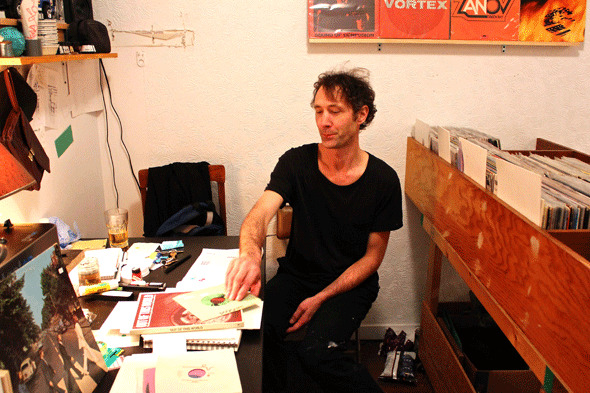 Wearing a black T-shirt and disheveled hair, Peter is wont to pick up a record and spinning it for you, excited to share new music with anyone that drops by. 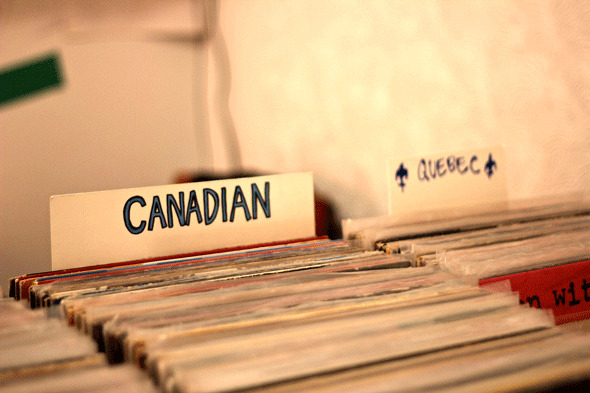 Starting out as a record collector--namely collecting older electronic and hard-to-find Canadian music like Hugh Lecaine --Peter was selling his records once a week at an art co-op where he works as a comic artist. It's a similar origin story to Derek Madison at Grasshopper Records , a couple blocks away up on Dundas. Peter, like Madison, also plays in a band (Corpus). Having been open for just over a month now, business has been steady at LP's. 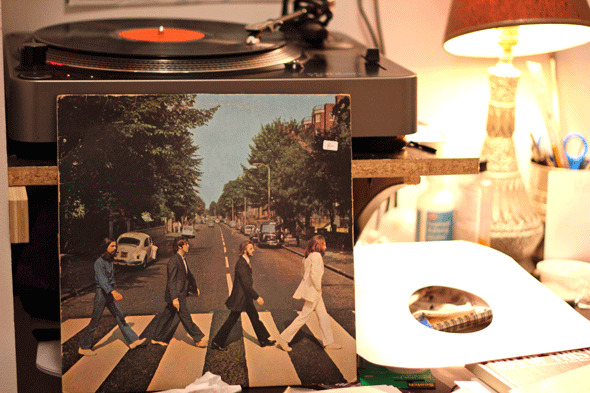 "The interest in records is huge, but it's never going to be what it was," says Peter. "It is swelling again, though." He's talking about the four record stores that have popped up across Toronto in recent memory, as well as the fall of Criminal Records last year for somewhat unknown reasons. And as long as it goes well, "as long as there's a need," Peter is there for the long term, he says. Although there's hardly any newly pressed vinyl, Peter is looking to add some new indie stuff--but that's not what his clientele comes to LP's for. He also encourages bands to drop off their EPs to sell. He's going to add to his collection of comic books and graphic novels in the coming months, alluding to his other passion (and livelihood) in art. "But it's records first. Comics will have to catch up," he says.